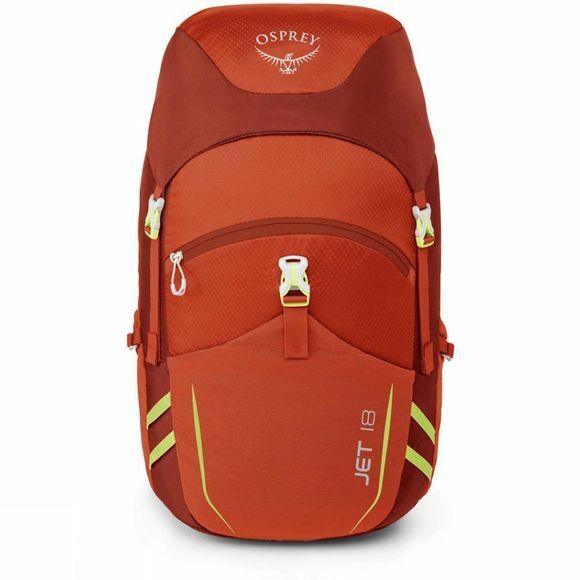 Helping to inspire young people to enjoy the outdoors the Kid's Jet 18 Rucksack from Osprey is a great way to achieve this. By giving children the same level of pack fit and function as their grown-up counterparts, nothing will stop their adventures. 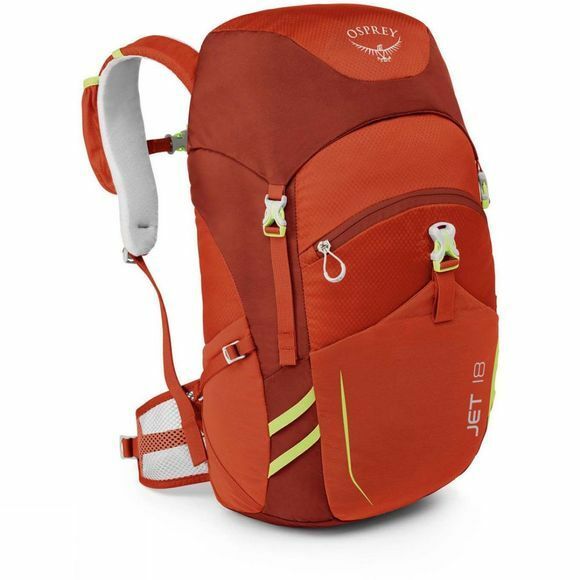 Whether you are out for an afternoon hike or away on a daytrip the Jet 18 equips your child with a fully featured daypack that'll rival any adult sized Osprey pack. Adventure essentials are easy for them to grab, with stretch mesh side pockets, stretch front and harness pockets. Ensuring you can see your child is fundamental to enjoying the outdoors together, the Jet has reflective graphics and eye-catching colours to make this a little easier for you. Keeping children cool and comfortable when they're out is another key to enjoyment, that's why the Jet 18 is equipped with an AirScape backpanel with foam ridges to promote ventilation. Children also grow more than quickly, which is why the Jet 18 is a durable pack which is suitable for children aged 8 to 15 years.